The problem is that my Windows 10 x64 does not support this installation entirely. Refer to the picture below showing my device manager handling the Oscilloscope. It also creates some sort of USB maloperational part. Pls advise what is wrong, if you have any ideas about this. The only difference from the original bundle of hardware is that I have used a USB cable different from included in the kit. The original cable has been misplaced and cannot be found, but is there any deviations from a standard USB cable or the included? Would really appreciate your swift and kind attention to my problem. It is possible to run the software (PcLab2000se) and the scope, but there are strange results and behavior, that I cannot explain other than it is a result of the non-successful installation. The PCSU1000 does not use a com port. Does the com port go away when you unplug the unit? If not it looks like it is coming from a different source. The PCGU1000 uses a com port. Sounds like you installed it as well. The driver installation package for the FTDI’s FT245B - USB FIFO IC includes both VCP ( Virtual COM Port) and D2XX driver. The PCSU1000 is using only the D2XX driver for the chip. So, gents, it is not any problems for the operation if it stays? 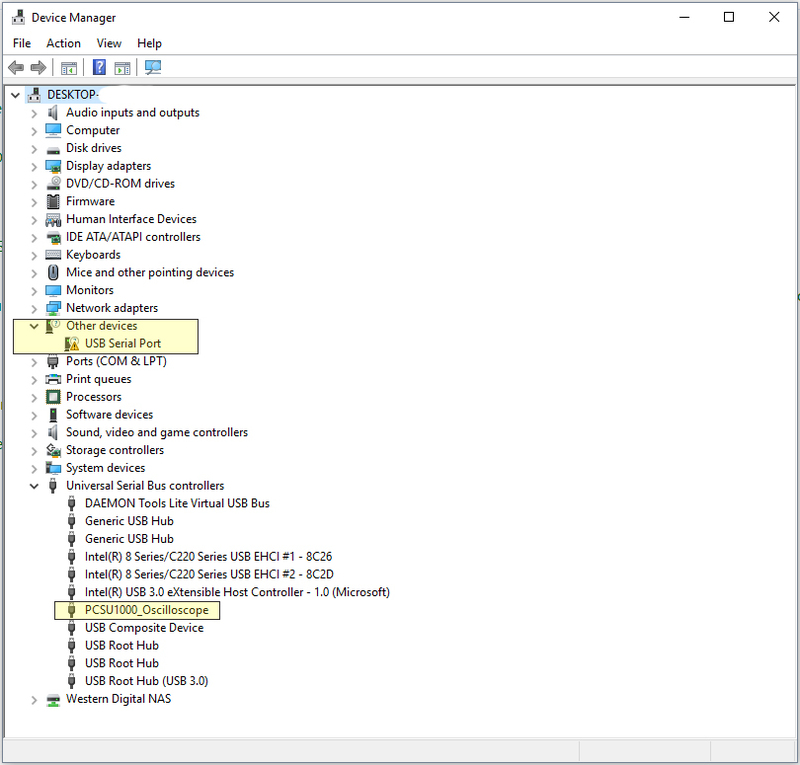 It may also be disabled in device manager, but remain in place, like I have done with the virtual com port now without creating any problems for the scope and software operation or the rest of the computer? There is no harm if you disable this ‘USB Serial Port’ driver in the Device Manager.